The Willow rocking chair is a one of a kind piece that is sure to turn heads. 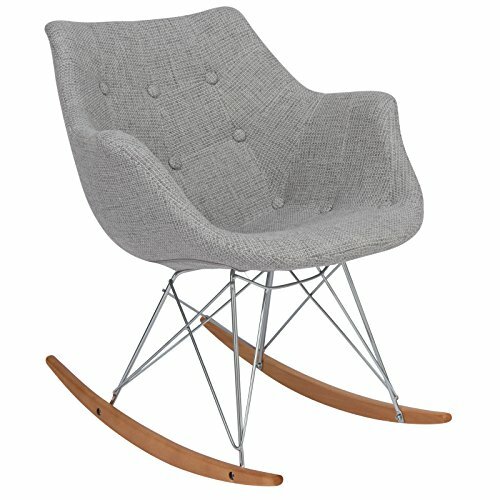 This children's sized trendy chair makes for a unique decoration and a comfortable seat. With its sturdy design and vibrant coloring, this chair is a perfect fit for any nursery or children's room. Sit in comfort while reading bed time stories and as you rock your child to sleep. Add this chair to any room so you can chill out while you rock out, a guaranteed favorite for all. Full Height 26.75", Height Until Seat 16.75" x Full Width 23.5" x Full Depth 22.5", Seat Dimensions: Seat Width 14.25" x Depth 17", Width Arm to Arm 23.5"
If you have any questions about this product by LeisureMod, contact us by completing and submitting the form below. If you are looking for a specif part number, please include it with your message.